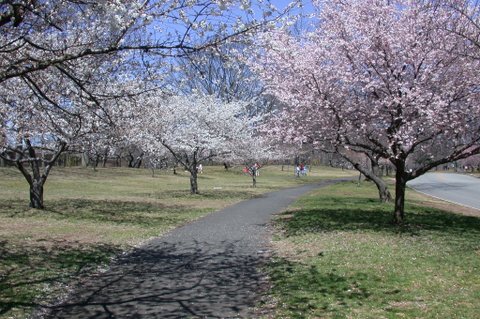 Essex County’s Branch Brook Park is the home to the largest cherry tree collection in the country. 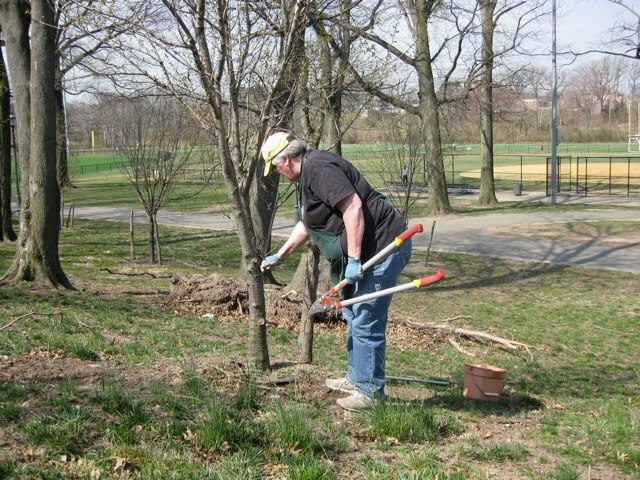 Over the past year a volunteer crew of Rutgers Master Gardeners has taken over a big piece of that job, pruning 1400 of the park’s 4300 trees and donating over 300 hours of hard labor. Up until the Master Gardeners developed a pruning team, the trees were not maintained on any level. Since March 2012 the group has assembled in the park every Wednesday morning with their own tools, barring heavy rain and temperatures below 45 degrees. So far the group has pruned close to 1800 trees. They work under the direction of arborist Paul Cowie, historic tree collection manager for the Branch Brook Park Alliance. The alliance is a public-private partnership assisting Essex County in its efforts to restore the formerly neglected park. Conceived in 1867 by Frederick Law Olmsted Sr., who designed New York’s Central Park, it extends from Route 280 in Newark north to Mill Street in Belleville. Branch Brook is the oldest county park in the U.S. and underwent significant deterioration during the 1980s and ‘90s. “The Master Gardeners are doing a great job,” said Cowie. “They all share a passion for gardening, and they easily picked up all the fine details of pruning.” He conducted two workshops for them before they got started. The crew has been pruning mostly young trees, but will eventually take up sculptural pruning of more mature trees. 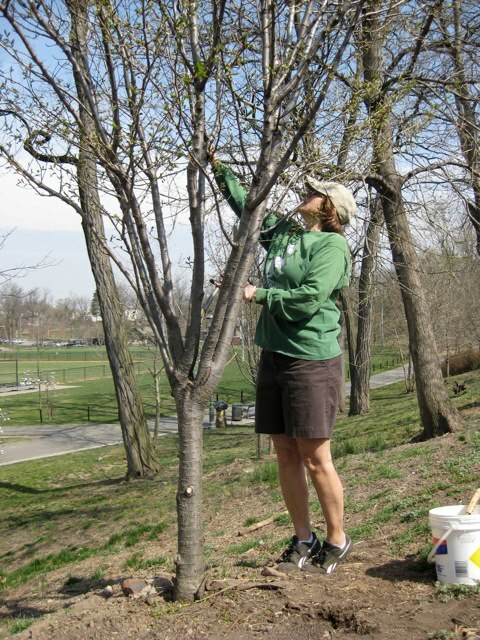 The very oldest trees in Branch Brook Park date to the 1920s, when business executive and philanthropist Caroline Bamberger Fuld donated 2,000 Japanese flowering cherry trees. 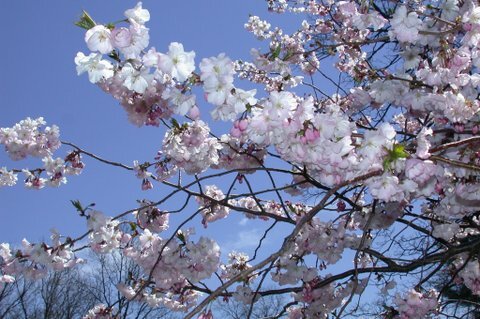 The average life expectancy for a flowering cherry tree is 30 years, but some live 80 years or more.